What better way to spend a honeymoon than to cross the province that is home to some of the earliest settlements in Canada? We set out on our 1,000 km + trek through this province during the month of September, 2011. I had been to Newfoundland & Labrador on several occasions for both work and pleasure, but prior trips had been limited to seeing the Avalon Peninsula. This trip would take us across the entire width of Newfoundland. This page is designed to provide you with ideas for your trip itinerary, as well as for places to stay, eat and play. It would be criminal to document a trip to Newfoundland & Labrador without mentioning the people. My first experience was in the mid-90’s when we had booked a motel room not far from Cape St. Mary’s. When making the room reservation, I had pre-arranged for a crib to be in the room, but this detail was missed upon our arrival. The innkeeper called “the house” and arranged for a crib to be dismantled, brought over, and reassembled in our room without the bat of an eyelid. I immediately got the sense that these people were open, honest and giving. A few years later, when the airspace over North America was shut down and planes were diverted to Gander, I knew that the passengers would be cared for in a way that that kind of hospitality is usually only offered to family members. Passenger accounts on the 6 o’clock news of their experiences in Gander proved me right. That genuine friendliness permeated all of our interactions with the locals during this trip as well – we struck up a conversation with a villager in Twillingate while we were admiring the icebergs in the bay and were offered an opportunity to share a drink back at her home that would include a piece of iceberg ice no less! Making a living in this region is not easy – it takes a lot of effort to live off the land or the ocean, and it is not without peril. These natural elements have surely shaped the sense of community that exists on the rock, and this sense of community is openly shared with anyone who is willing enough to partake in it. We had a family breakfast with the wedding party prior to making our way to the airport. We landed in Deer Lake at around 8:30pm. Given the abundant moose population, driving at night through Gros Morne National Park is ill-advised. As a result, we opted to stay in a small B & B and strike out the next morning. Had it not been for the family breakfast, we would have taken an earlier flight into Deer Lake and driven into Gros Morne. Given our arrival after nightfall the previous day, Day 2 felt more like our true arrival day. Our first views of the water were at Bonne Bay. The winds were steady at about 20 km/hr, and the temperature hovered around the 14° C mark. 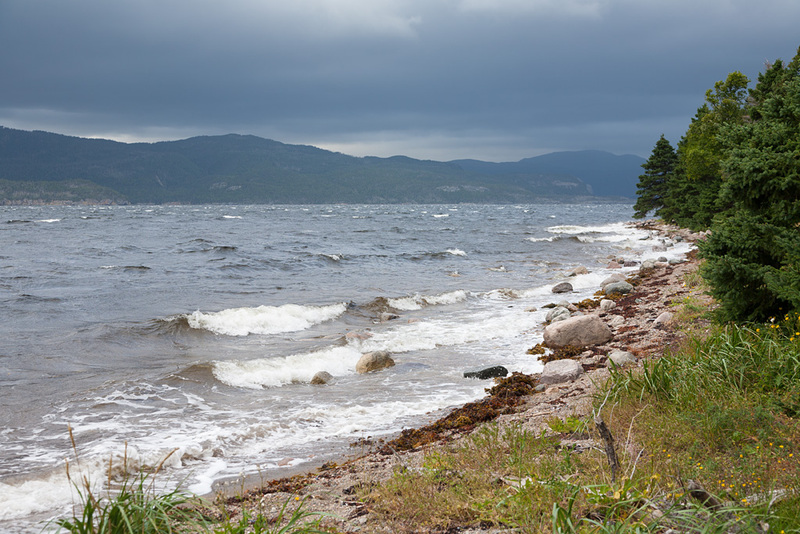 The next 48 hours would be spent taking in coastal scenes, and visiting Gros Morne National Park. You can read more about our visit to this area here. We had heard of iceberg sightings in Twillingate from other travellers while we were in Gros Morne. Not wanting to miss an opportunity, we made a “slight detour” to Twillingate, adding about 200kms to the trip which you can read about here. The time in the Port Rexton /Trinity area was spent visiting the Skerwink Trail, the village of Trinity, and dodging Hurricane Maria. A post about our stay at the Fishers Loft Inn, and our dining experiences in the area, can be found here. 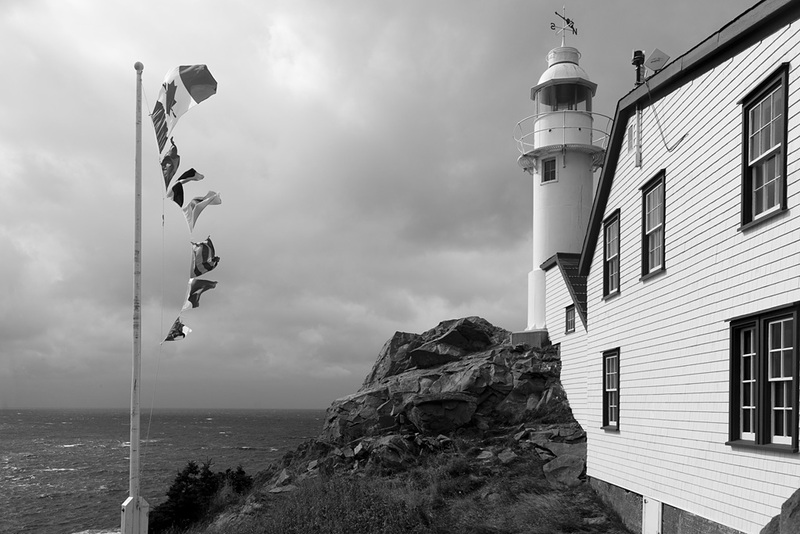 A trip to St. John’s would be incomplete without taking in Signal Hill, The Rooms, and a side trip to Cape St. Mary’s Ecological Reserve. You can read more about our visit to this area here. We enjoyed our stay at the Sugar Hill Inn. Located in Norris Point, the property is on the edge of town and offers an excellent dining room, complimentary breakfast, internet and laundry facilities. The price was well worth the well appointed room, but given that we might not have the luxury of a honeymoon budget to splurge with next time, we may opt for more modest accommodations in Rocky Harbour on our next trip. We stayed here, and were extremely pleased with our experience. We splurged to stay here and were disappointed by the details missed by housekeeping. Sugar Hill Inn, Norris Point – fine dining in an elegant setting. Earl’s Restaurant, Rocky Harbour – authentic Newfoundland cooking in a family friendly setting. Try the moose burger! Twine Loft Restaurant, Trinity – romantic atmosphere and great food. Two Whales Coffee Shop, Port Rexton – we had the best freshly made soup & sandwiches of the entire trip to take with us on the drive to St. John’s. Rocket Bakery & Fresh Food, St. John’s – this is the place to get your morning coffee and baked goods to go.